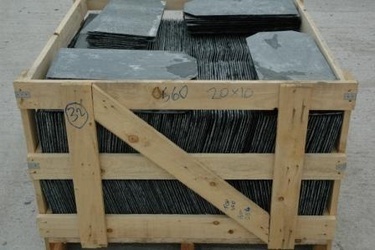 Traditional Hand-made natural Roofing Slate from the World Renowned Delabole Slate Quarry in Cornwall. The area of roof you wish to cover. Roof “features”, e.g.…Dormers, hipped or gabled ends, length at eaves (facia or gutter). A roof drawing or sketch with dimensions would be ideal. The "head-lap" the slates are to be laid at. Size of slate you would like to use. We can help...If you are unsure of the "head-lap" we can advise according to the British Research Establishment digest guidance.